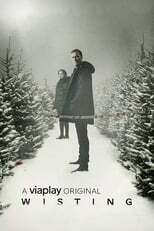 Detective William Histing, which you might know from HBO Production Lilyhammer, has to solve a number of violent and senseless murders commited in a small fisherman's town in Norway. The drams is baed on the books The Caveman and the Hunting Dogs. Where can you stream Wisting? On 2019-04-11 Crime/Drama TV Series Wisting first aired on Viaplay. Written and created by Kathrine Valen Zeiner & Trygve Allister Diesen, Wisting will return and was last broadcasted on 2019-04-11.